When I told my husband that I thought it would be exciting to take an African safari, he wasn't fond of the idea. 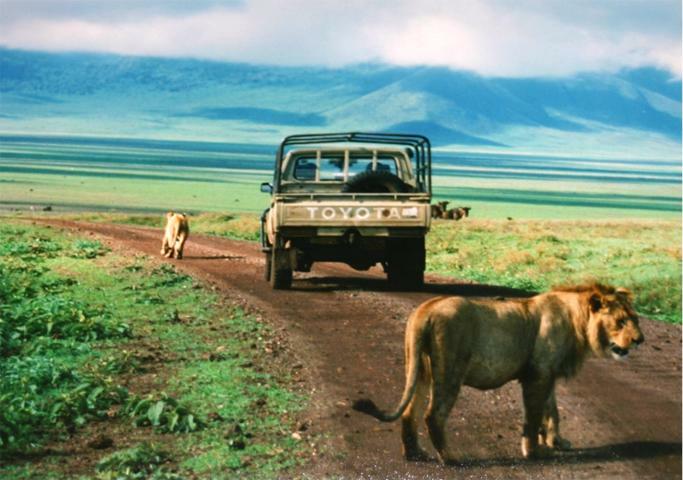 He said, "We'll be lucky if we see one sleepy lion surrounded by a dozen cars". Alas, he was wrong. We saw active lions every single day and lots of other beasts too, including the pair of rhinoceros (Ceratotherium simum) shown above. 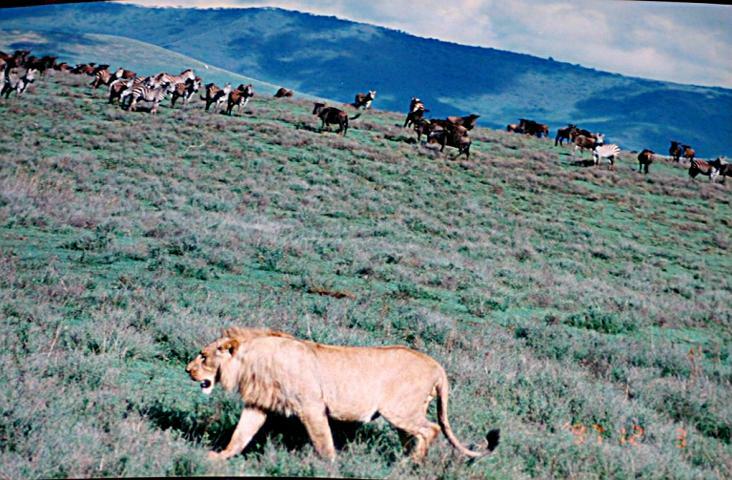 Ngorongoro Crater (in Tanzania, East Africa) is indeed a wonder. It's one of world's largest (unbroken) calderas, measuring 610 meters (2,001 ft) deep and 260 square km (100 square miles) in size. This natural amphitheater was created about 2 million years ago when the cone of an ancient volcano collapsed into itself. The view above shows its rim in the distance. Because this impressive crater has a nearly permanent supply of water, a healthy population of lions, rhinos, zebras, hippos and wildebeests, among others, live here throughout the year -- migration to water isn't necessary.